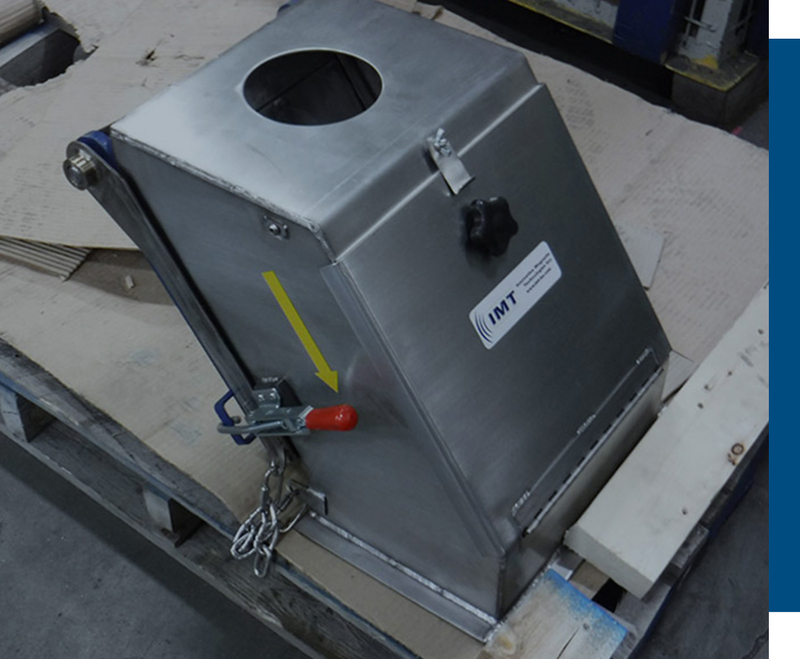 The IMT Magnetic Plate Separator (MPS) provides a dependable means of tramp metal extraction in chute applications. The permanent magnetic forces protect your capital equipment by providing continuous and effective removal of unwanted tramp metal. The Magnetic Plate Separator will increase uptime, reduce maintenance costs while providing a metal free product. 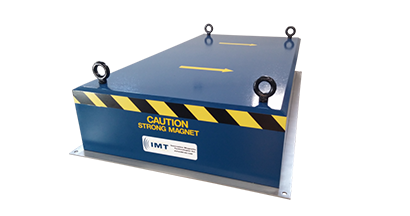 Innovative Magnetic Technologies offers the Magnetic Plate Separator in various sizes and configurations to meet your specific application; maximizing the separator’s performance. 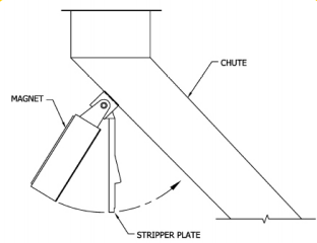 Magnetic Plate Separators are used to extract tramp metal from free-flowing products such as grains, pellets, powders, wood, and aggregate. 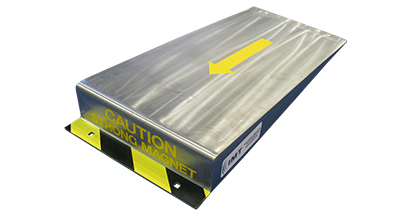 These industrial strength magnets often employ super powerful rare earth magnets to ensure a clean end product. 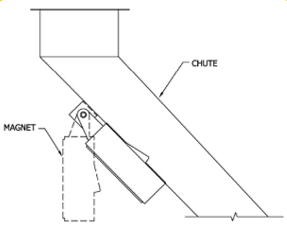 These magnets easily retrofit into your existing chutes and conveyors – or can be custom designed and built into a system that will work for your particular application. 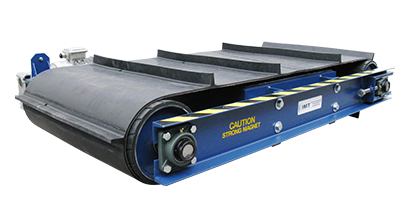 Our plate separators prolong the life of your existing equipment by reducing the wear and tear from errant metal. Magnetic Plate Separators are used in a wide variety of industries. At Innovative Magnetic Technologies we believe in simple and painless solutions. 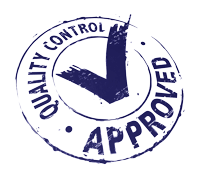 Our team of experts will assess your needs and ensure you receive the right magnetic product for your application, and will custom build any of your infrastructure to meet your specific needs.